How has IoT influenced your daily lifestyle? Maybe you would say that smart watches, smart homes, smart cars have simply made lives more exciting and secured. Isn't it? Internet of things (IoT) has transformed the lives, certainly for better aspects in a very short span of time. May it is IT industry, retail business, real estate or healthcare, IoT has acquired its identity in almost every field. Moreover, IoT has even managed to bring private and government sector together and allow them to work in parallel. Even the industry influencers have addressed the Internet of Things (IoT) as the driver of the recent industrial revolution with a huge technological transformation. As per estimations, the installed base of Internet of Things devices forecast will grow to almost 31 billion worldwide by 2020. We all are well aware of the transformations that IoT bought in the industry- may it be smart homes, smart cars, thermostats, smart refrigerators, smart locks, and every other thing around us. But IoT seems like just an extended version of AI. By the end of 2018, out of all the technologies that went mainstream, the Internet of Things stood ahead. The creation of a smart tech world allows the devices to work autonomously, rather than getting driven by a set of defined protocols. By this year, we’ll see the impact of these transformations in real life. Switching from condition-based system to a machine-learning based system would be a great success for the industry. The major tech companies have been influenced by the Hollywood sector to develop upgraded voice-activated systems for better and smarter lives. Industry influencers are now planning to make these technologies a reality where apps will be programmed with AI and machine learning to recognize voice commands. This will help to analyze the commands and predict the future outcomes as well as the user's behavior too. In fact, the Siri app is one of the examples which successfully integrated voice recognition and artificial intelligence. 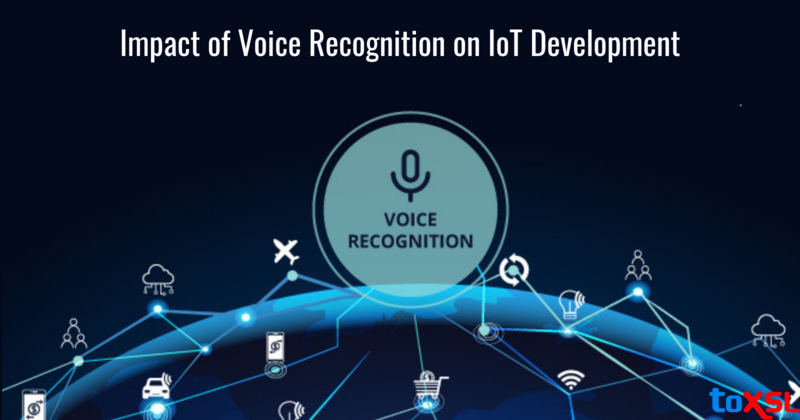 The integration of voice recognition in the Internet of Things is going to bring a revolution in the digital world and will enhance the customer's experience in a far better way. The Internet of Things has expanded its reach beyond smart gadgets and electronic devices. One of the evolving trends among all is home automation. People are demanding smart and secure homes for better lifestyles. Soon people will experience homes where they can be able to control their home appliances by talking to them. Turning on the television with your voice, voice-activated microwaves, and a lot more will be revolutionalized in the coming years. The automobile industry is facing a rapid transformation with the new technology trends. A majority of the car manufacturing companies are now integrating the voice recognition software and other communication systems. This will make lives smarter as people will be able to control the electronic functions in their cars and fetch the best advantages by giving voice-enabled instructions. Moreover, users can even manage the air conditioning temperature and manage music playlists with their voice. This is the sector where voice recognition has proved its best benefits. Majority of the search engines are implementing voice commands and developers are working to create certain authentication modules which will use voice recognition. Moreover, as estimated, by the year 2020, the majority of the users will take advantage of voice recognition thus outdating the traditional methods. Users will further be able to use their voice as a method to access the sensitive information. Healthcare industry can upgrade their treatment procedures and medicines with the latest technology updates. Hospitals and clinics can increase their dependency on voice recognition trends and perform better operations. The speech to text feature will further help the doctors to manage the medical records without doing tiresome paperwork. This will help them in saving their time and offering more precise and accurate results. The major information of patients like the present condition of the patient, diagnosis, recovery, and other things can be analyzed via the voice recognition process. No doubt, introducing voice recognition is going to transform the way we manage our lives and will contribute effectively in developing a smarter tech world. But there are certain challenges which will come along this huge transformation. As voice recognition is going to fetch the users voice, it might become difficult to recognize the voice when multiple people are speaking at a time. It seems like voice recognition will work only at places where there is no distraction. Moreover, implementing voice recognition concept might be expensive in the very beginning but developers and experts are working upon it to overcome these minor challenges to introduce these smart technologies to the world without delay. Are you looking for the perfect IoT application services vendor for your business? You can count on us! ToXSL Technologies is one of the leading organizations which delivers IoT app services at the most affordable prices. Still not convinced? Get in touch with us at any time and get assistance from the experts. We would be glad to hear from you!